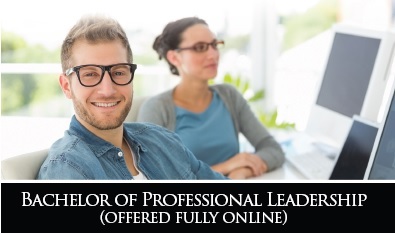 Southwestern Christian University's fully online Bachelor of Professional [Business] Leadership (BPL) degree helps both entry-level students and busy working adults earn their college degrees through our convenient online degree program. With the flexibility of our online BPL degree, students can take advantage of the high-quality, Christ-centered education that our on-campus students receive without the time constraints of attending classes on campus. The Core of the BPL program gives students a firm foundation of Business Leadership. Then within your chosen concentration, you’ll focus on the managerial, behavioral/social, and ethical issues required for effective leadership in the business, social services, or Christian ministry fields. These issues include developing human relations and decision-making skills, as well as critical-thinking and planning techniques. View the University Catalog for complete course descriptions.